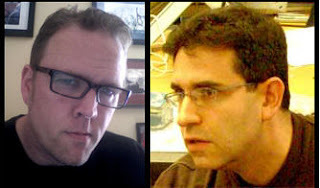 Comics Experience Blog: Jeff Parker & Steve Lieber Join Creators Workshop LIVE April 10, 2012! Jeff Parker & Steve Lieber Join Creators Workshop LIVE April 10, 2012! 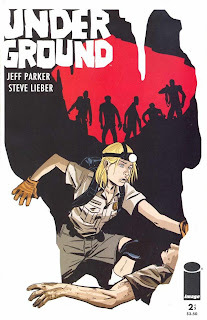 On Tuesday, April 10, 2012 at 9pm Eastern Time, Jeff Parker and Steve Lieber will be joining us for an online Creators Workshop Book Club discussion of Underground published by Image Comics! Underground follows the story of Park Ranger Wesley Fischer as she tries to save Stillwater Cave--and then has to save herself. Writer Jeff Parker is a comics writer based in Portland. Originally from North Carolina, Jeff drew comics for publishers DC and Malibu before moving to Los Angeles to do storyboard animation (The Big Guy and Rusty the Boy Robot), commercials, and music videos. He released his self-published adventure graphic novel The Interman in 2003 to industry acclaim, and soon after began writing regularly for Marvel Comics. Jeff has written numerous titles for Marvel, including acclaimed runs on Agents of Atlas, X-Men-First Class, Thunderbolts, Hulk, and the Marvel Adventures line. Parker also created Mysterius The Unfathomable with cartoonist Tom Fowler, published by Wildstorm. He is a founding member of Periscope Studio, the largest studio of freelance comics artists in North America. 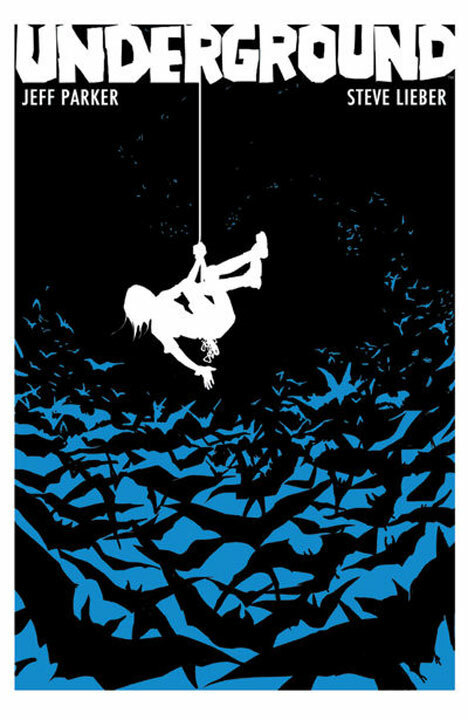 As recently announced at Emerald City Comic Con, Jeff's's Portland-based murder mystery webcomic Bucko, on which he collaborates with artist Erika Moen, will be released in print this September by Dark Horse Comics. Illustrator Steve Lieber is a cartoonist in Portland, Oregon. He was born in Pittsburgh, PA, and studied comic book art at the Joe Kubert School. His comics have been published by DC, Marvel, Dark Horse, Image, Carus, Oni, Dupuis and many others. Steve has worked on characters and properties like Batman, Superman, Hellboy, Star Trek, Road to Perdition, and GI Joe, but he’s best known as the artist of the Eisner-winning graphic novel Whiteout. Whiteout was adapted by Warner Brothers as a movie starring Kate Beckinsale. He’s a founding member of Periscope Studio. He roughed up a girlfriend on two known occasions and he followed neighbors he was suspicious of, neighbors who complained about him at their association meetings. It all public record. He started the neighborhood watch and appointed himself captain. So why pay $28/year for a premium subscription? We have 30,000 subscribers to our free newsletters. Tens of thousands of others visit the website and see our social media feeds every day. Like public radio, we depend on our audience support. Some of the purple badges already have a following: Alan and Alex Stokes, walking the floor in custom t shirts matching pink T shirts and ripped white jeans, were followed by a small crowd of young girls hoping for a selfie. The 21 year old twins are Instagram famous: custom t shirt printing combined, they have more than 2 million followers. Their Jake Paul inspired comedy videos put them in the spotlightjust a few months before the convention.